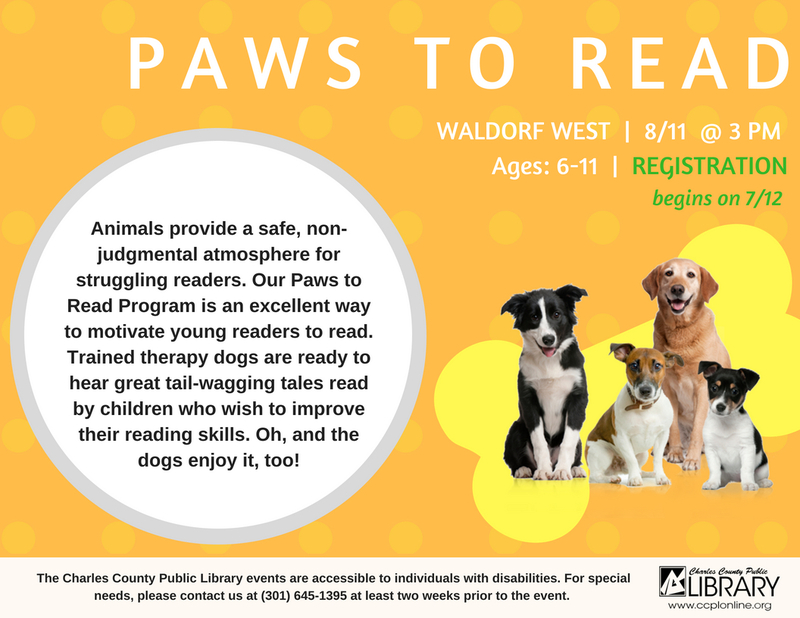 This program for ages 5-14 lets them read to a furry friend who is a great listener. Improved reading skills and confidence are the goals. All dogs are certified therapy dogs. We're sorry. The registration deadline was 8/8/2018 at 12:00 AM.